Join us Friday, September 14th, following the first day of the 29th Annual Boston Freedom Rally! The event will be located at 49social, just steps from teh Boston Common. 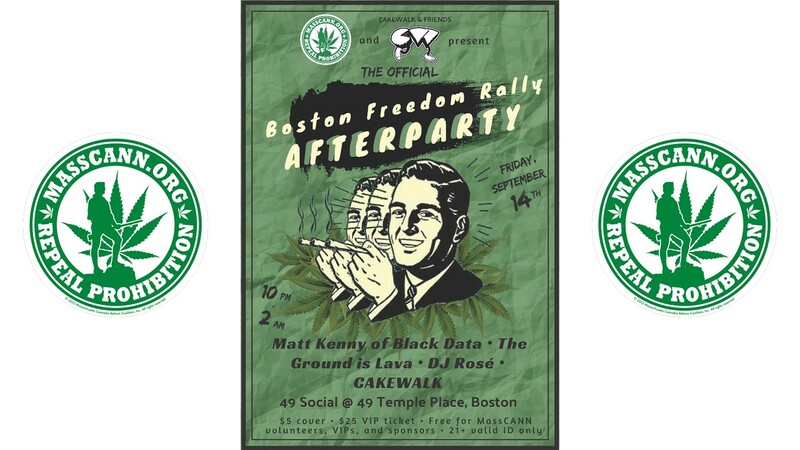 We will have three floors of entertainment hosted by MassCANN/NORML + cakewalk & friends. We will have a private VIP lounge which will include sponsors, giveaways, complimentary food, and a MassCANN/NORML gift bag! LIMITED tickets available. **all registered speakers, and volunteers for the Boston Freedom Rally get a general admission ticket for FREE.